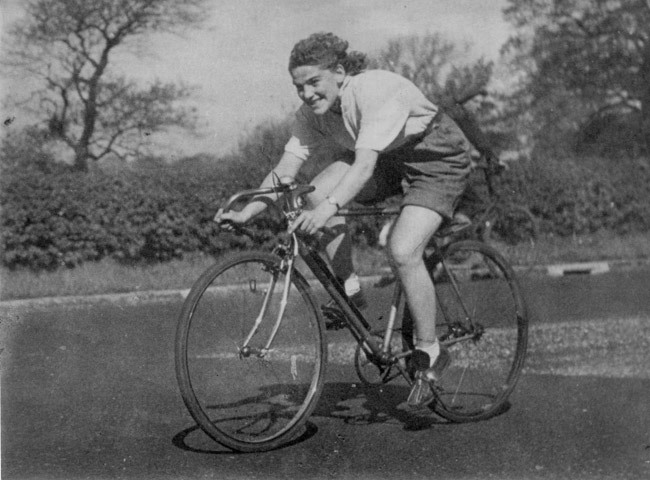 Shop founder, John’s love of biking may well be genetic – his mum (pictured here competing in a time trial in Brock, Lancashire), was a keen cyclist , and regularly competed in long distance races. She bought John his first ever two wheeler – it came in a box in bits, to assemble on the kitchen table. 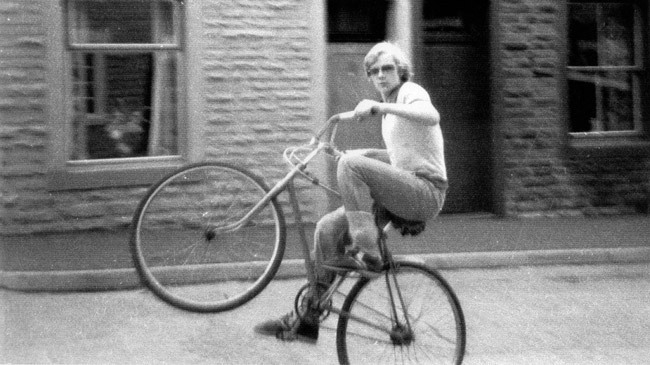 John aged about 14 on a Tracker bike made from old bits he and his brother found in a garage and put together, including a BSA frame, knobbly tyres and cow horn handlebars. 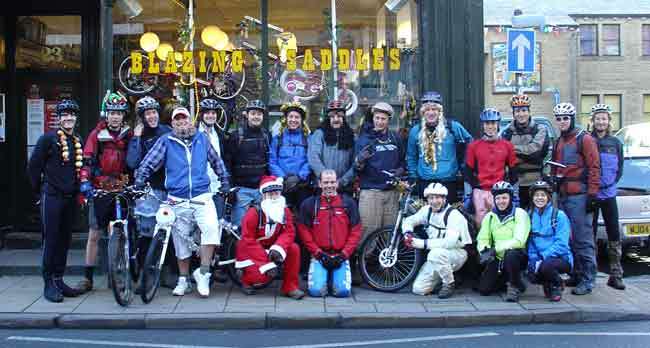 It later got nicked out of his back yard and he didn’t touch a bike again for another 15 years! 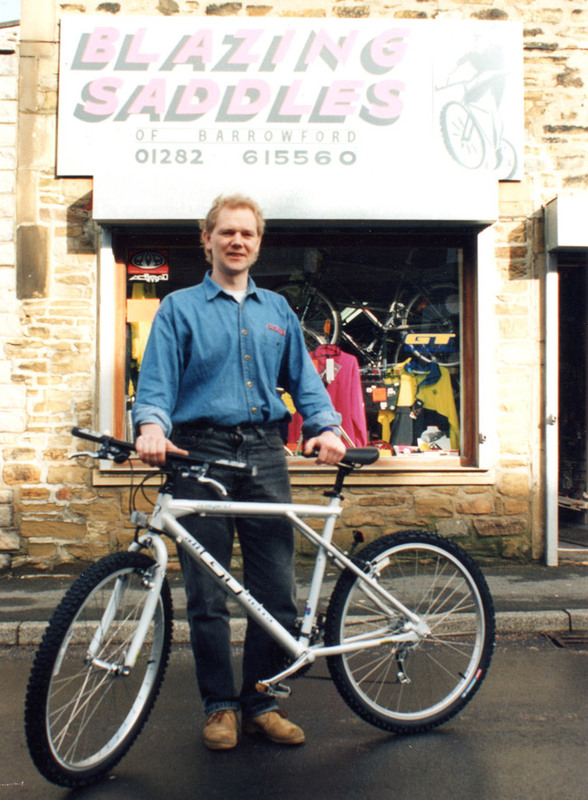 John was originally a bricklayer, and then a Civil Engineer, working in the sewage works, but in 1994 he gave it all up to open a bike shop in Barrowford, a small one-man operation, and the first Blazing Saddles. 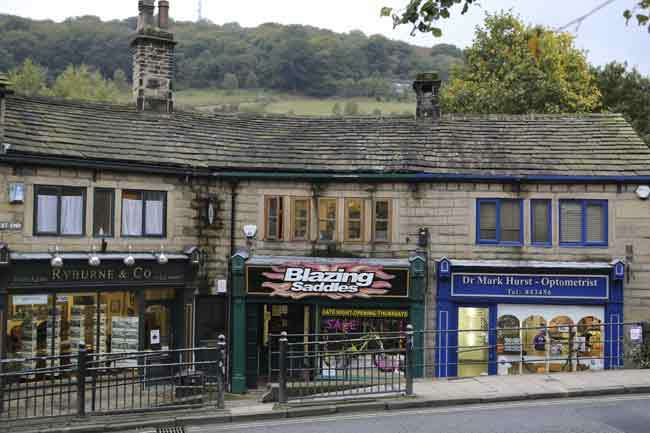 The shop moved to Hebden Bridge in 2001 to be in the heart of mountain biking country and we quickly outgrew our premises, so moved a few doors along Market Street and haven’t looked back since. Blazing Saddles’ lovely new shop at 35 West End.